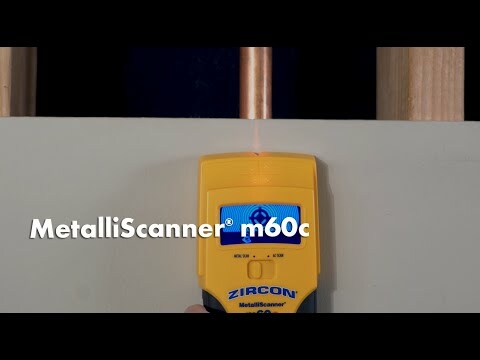 The MetalliScanner® m60c uses two different scanning modes to detect metal and hot unshielded AC wiring and metal behind walls, floors, and ceilings. The tool features the advanced ColorTrip™ Display that lights blue in Metal Scan Mode and red in AC Scan Mode. When AC wiring is detected while scanning in Metal Scan mode, the screen will light, or flash, red to alert that extra caution should be exercised.